Our mentors are friendly, experienced LFE developers who will help teach you new techniques and tricks. 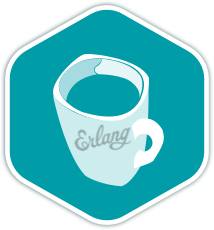 Lisp Flavoured Erlang (AKA LFE) is a lisp syntax front-end to the Erlang compiler. Code produced with it is compatible with "normal" Erlang code. LFE is a (proper) Lisp based on the features and limitations of the Erlang VM. LFE has many origins, depending upon whether you're looking at Lisp, Erlang, or LFE-proper. The LFE community of contributors embraces all of these and more. LFE is a Lisp-2. In Lisp-2, the rules for evaluation in the functional position of a form are distinct from those for evaluation in the argument positions of the form. In addition, LFE not only has separate value and function space but it also allows multiple function definitions for the same name. Like Erlang does. These are a few of the 31 exercises on the LFE track. You can see all the exercises here. Get started with the LFE track. As with everything on Exercism, it's 100% free!